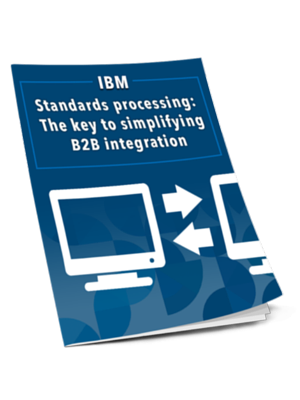 Industry standards are intended to simplify the exchange of data with external business partners. Across healthcare, financial services, supply chain, insurance and many other industries, standards-based data has helped enterprises eliminate manual processes, accelerate data exchange and build business-to-business (B2B) value chains. Yet the B2B value chain continues to grow more complex, as does the challenge of supporting and managing ever-shifting data standards and formats across hundreds or thousands of partners. Please complete the brief form on this page to receive the complimentary solutions guide from IBM.